Here’s a list of every tool, app, resource and piece of equipment that I personally use on this site (or on one of my other blogs) and recommend. The list is a mixture of free and paid resources. Disclosure: I have used affiliate links to some of the resources on this page. This means I might earn a commission if you decide to make a purchase. This is at no extra cost to you and it supports this site, which means I can spend more time writing content. I genuinely recommend everything linked below. Learn more. My website is hosted with Linode. I’ve found their system very reliable with practically zero downtime to date. However, their service is designed for those with a web development background. If you’ve never poked around a server before and you do not know your database from your elbow, you might be better off using a different service aimed at non-developers, like Siteground. (Disclaimer: I’ve never used Siteground before, but they come highly recommended in all the blogging groups on Facebook). I buy all of my domains from 123-reg, mostly out of habit. I’ve used them for years and years. I like their control panel and I know my way around their settings. On the odd occasion, I’ve needed support, I’ve found them very responsive and helpful. This website is powered by WordPress.org, I have used WordPress for around eight or nine years and cannot recommend it enough. I use the StudioPress Genesis framework for WordPress. I started using the framework about four years ago and I’ve never looked back. 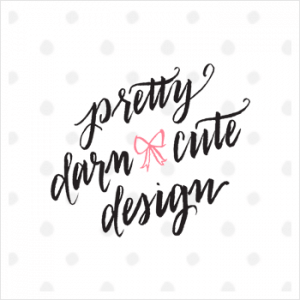 My current theme is a modified version of the Pretty Genesis theme from Pretty Darn Cute Design. I own a couple of themes from PDCD and really rate them. I have purchased feminine Genesis themes (for other projects) from Restored 319 too. I also recommend their themes. I use Sharaholic for the social sharing buttons on this site. I believe Sharaholic works on any website, WordPress, Blogger, etc. The plugin is jam-packed full of features (which you can switch on and off.) After testing several plugins from the repository over the last few years, I’ve now settled on Sharaholic and haven’t looked back. It’s lovely to use. 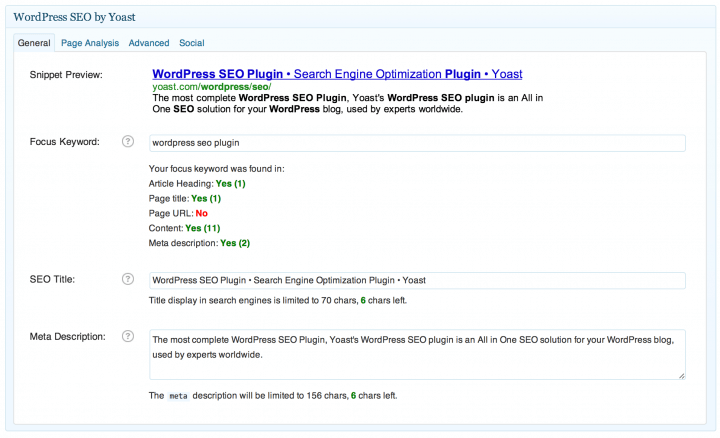 Yoast SEO falls into the “WordPress plugins I cannot live without” category. I worked in SEO full-time for a number of years before going freelance, this is my plugin of choice for SEO. I like UpDraftPlus for creating backups. I have them automatically sent to DropBox. Pre-Publish Post Checklist is a godsend of a plugin. I create a checklist of jobs to do before publishing (for example, did you check for typos? Did you add a pinworthy graphic?) I do not publish my post until all tasks are checked off. I cannot fault Ninja Forms. I use it to create contact forms on a number of WordPress websites. I’m now on my third email service provider, Mailerlite. 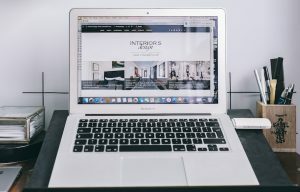 You get 1,000 subscribers free, can use automation (email sequences) and they have a bunch of useful tools, like popup forms and landing pages. When you hit over 1,000 subscribers, their rates are very reasonable. Shoutout to Chantel from Blogging with a Smile for the recommendation. 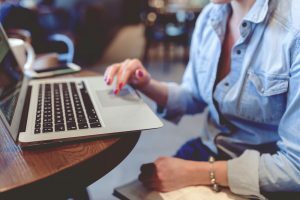 I personally use SkimLinks to monetise my blogs. I think it is an amazing tool – especially for beginners. You add the tool to your site and it “skims” your content, swapping “normal” links with “affiliate” links. Confused by affiliate marketing? My advice is to forget everything, install SkimLinks and start from there. RewardStyle and ShopStyle Collective are two other tools I use. Both cater to fashion, beauty, interiors and lifestyle bloggers primarily. RewardStyle are very selective, they only accept a handful of established bloggers. ShopStyle Collective accept all bloggers instantly. They pay per click and per sale. Both sites let you make funky widgets for your blog posts and sidebars. Both have tools for monetizing Pinterest and Instagram. I’m also a member of Affiliate Window, Linkshare, CJ by Conversant, ShareASale, Webgains and Amazon Associates They’re all affiliate networks. There are waaayyyy more out there too. Just simply pick and choose what is right for your blog! I use Adobe PhotoShop CC 2015 for designing, editing photographs etc. I use the “Individuals Photography” plan, which costs me around £8 to £9 per month (around $12 to $13 USD). UPDATE: In July 2016, I switched to Affinity Photo. It’s very similar. You can still edit PSDs too, but crucially, it’s much cheaper. There’s just a one-off fee of £49 /$49. Plus it won Apple Mac App of the Year in 2015. Often, I’ll fire up PicMonkey to make collages. If you’re a blogger with no PhotoShop experience and want to make an image collage, head straight for PicMonkey. It’s free (though there are premium, paid for feaures too). Canva! I ADORE Canva. It is one of my favourite tools for designing blog post graphics, social media headers and for making free downloads (amongst a billion other things). 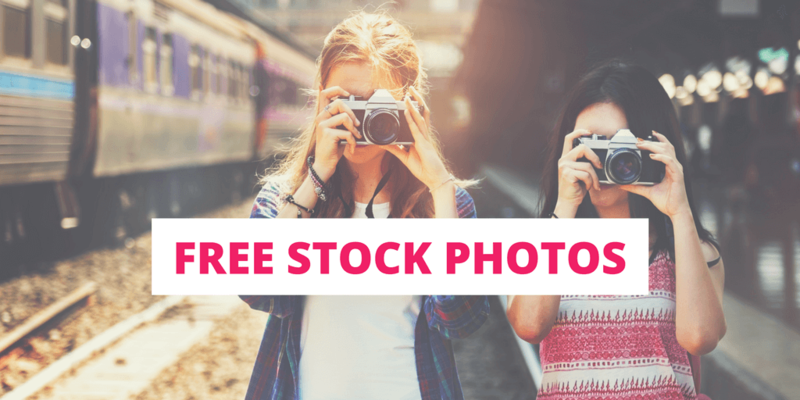 It is an online image editing tool preloaded with layouts, graphics and stock photos… You can use plenty in the tool for free, or pay just $1 to use one of their stock images. Pretty decent. They’re constantly innovating. I use Buffer to manage all of my social media accounts. I love adding my statuses/links/pictures to the queue, and letting them post intermittently throughout the day. 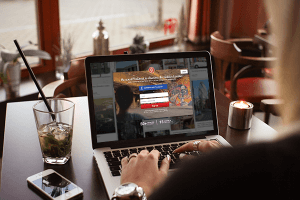 You can add Facebook, Twitter, Google Plus and Instagram for free. It can also post to Pinterest automatically too (but that’s a paid option). I also take some of my own photos. I have this Nikon D3300 DSLR (which I bought from Currys/PC World) and this Panasonic Lumix compact camera. 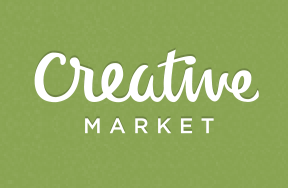 I really rate CreativeMarket.com for graphic design elements, scene creators, mock ups and fonts. The site is a marketplace for independent designers. I regularly buy from there. They also give away siz (yes six) free downloads every week – everything from logos to background patterns and beyond. 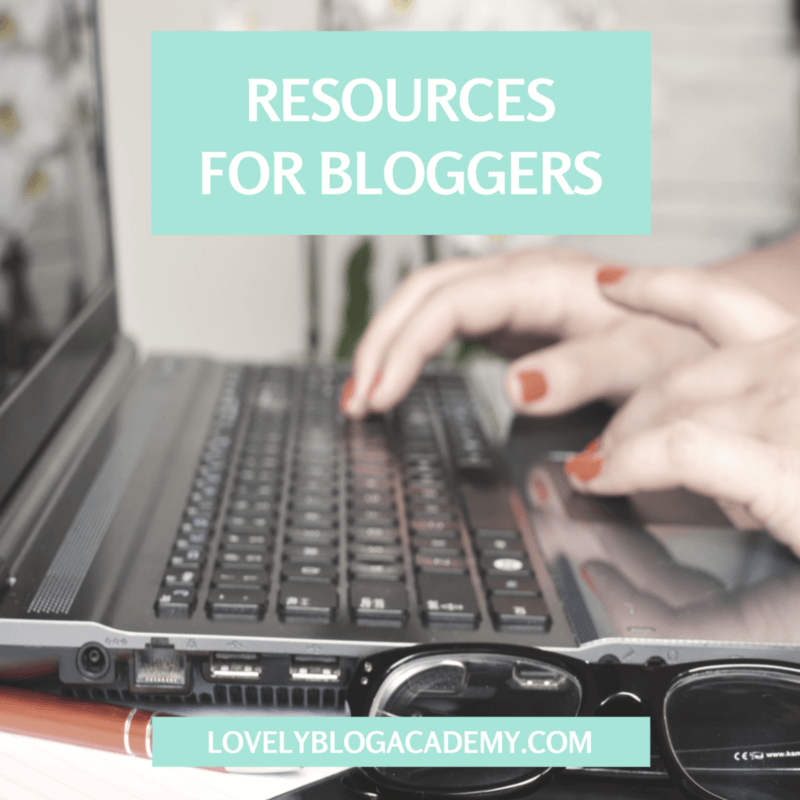 If you’re a blogger, this site should be in your bookmarks. I purchased this scene creator PhotoShop file from Creative Market too. I use this to create many of my featured images in blog posts, including the one at the top of this page. Freepik is a fantastic, free resource for graphics and patterns. I’ve used it on a number of occasions. Don’t forget to check out their sister site Flaticon, which syncs with PhotoShop. Pixeden also offers a mixture of free and paid graphics, themes, fonts, textures and mockups. Another one of my favourites. 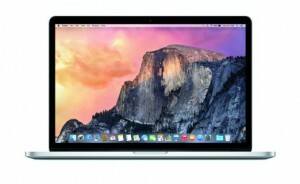 I have this Apple MacBook Pro, which I bought from Amazon. It is this year’s model with retina display. I use a Blue Microphones Snowball Ice for the audio on my videos. I use Screencast-O-Matic for recording video tutorials. I use their inbuilt editing suite too. I highly recommend for screencasting. Asana is my tool of choice for planning freelance work and collaborating with clients. BONUS: Go into the Asana settings and add the “Celebration” hack. 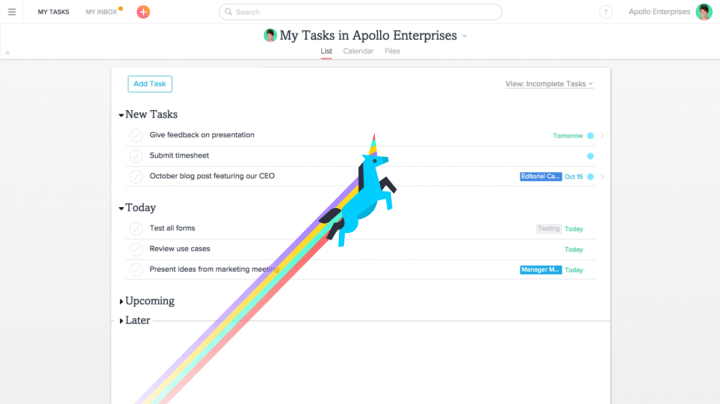 It’ll make a rainbow unicorn shoot across your screen every time you complete a new task. Love it. I really like Plan too. I ofen use this as a personal calendar and for scheduling my week ahead. (It syncs with Google Calendar). It’s totally free and beautifully designed. Evernote is an online notebook that syncs between desktop, mobile & tablet. Quite frankly, it’s so much more than that, my description doesn’t do it justice. Use it for all things blogging: organise notes and ideas, draft future blog posts, save tutorials for later, keep worksheets, list new title ideas…and so on…. Sometimes, you just need to write a list and cross things out when they’re done. 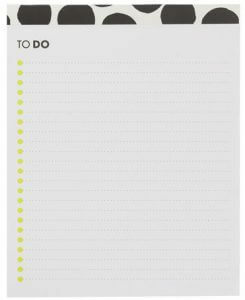 I use this to-do list from HEMA (right) for those kinds of days. In the past, I have used this printable project planner kit from Etsy too. It contains printable to-do lists, daily and weekly planners, a goals worksheet, a routine tracker and more. I also recommend The Freedom Journal for goal setting and journaling. You choose a S.M.A.R.T goal and then spend 100 days actively trying to achieve it.